I shot cool old chair during my recent second solo visit to the abandoned asylum in the woods, this time visiting several buildings as part of my continued mapping of the complex, as well as part of my continued breaking-in of my recently acquired Sony NEX 7. So far, this is probably my favorite of the shots I’ve post-processed at this location, though I have some other cool ones that might trump. 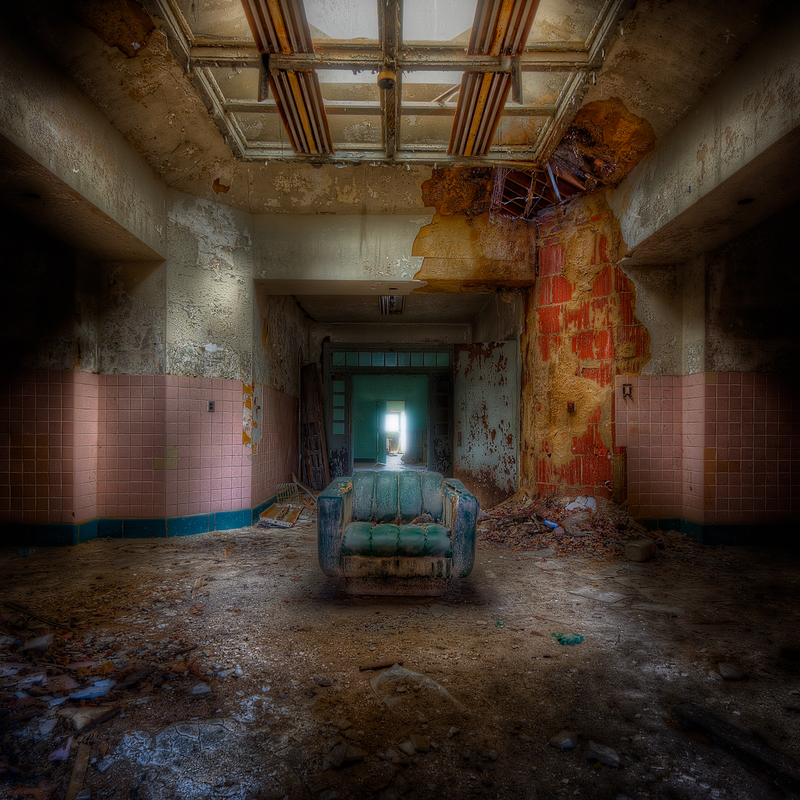 BTW, I’m still hunting for an abandoned wheel chair as I have yet to shoot one during an URBEX!